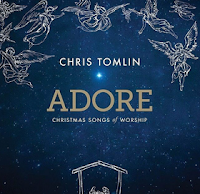 This new Christmas album released on October 23, 2015. It features classic Christmas songs with a mix of original Christmas songs. There are special guest performances from Lauren Daigle, All Sons & Daughters, Crowder, and more on this album. Chris Tomlin is an American contemporary Christian music artist, worship leader, and songwriter who has sold nearly 30 million records. Some of his most well-known songs are "How Great Is Our God", "Jesus Messiah", "Amazing Grace (My Chains Are Gone)", "Our God", and "Whom Shall I Fear". His 2013 album Burning Lights debuted at No. 1 on the Billboard 200, only the fourth Christian album ever to open at No.1. Throughout his career, Chris has been nominated for 32 Dove Awards (6 of them collaborative efforts) and he has won 19 of them. Read my full review here. 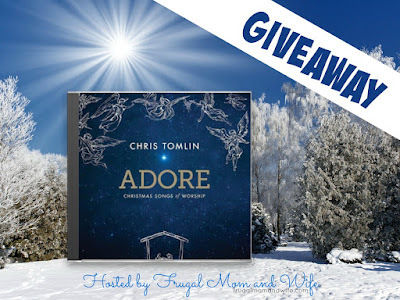 Here is your chance to win your very own Copy of this exclusive CD! US and CANADA RESIDENTS ONLY!!! Simply enter using the Giveaway Tool below. Every entry is another chance to win! Don't forget to come back for daily entries!! Disclosure: Frugal Mom and Wife did not receive compensation for this post and is not responsible for prize fulfillment. FlyBy Promotions is sponsoring this promotion and will be fulfilling the prize. Nor was compensated in any way. Frugal Mom and Wife only hosts the most awesome giveaways sponsored by outstanding companies.